Media Studies student Justin Frazier-Wright will be living and working in New York City this summer. 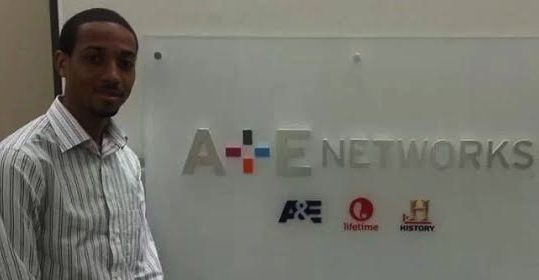 He has accepted an internship with CBS Interactive, where he will be doing production and post-production work for entertainment, news, sports, and CNET. “I’m very excited to start my second internship representing the Media Studies Department,” said Wright. He interned for A&E in Los Angeles last summer. 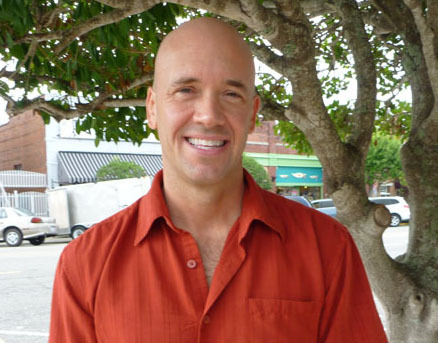 Media Studies Associate Professor Brett Ingram will screen two of his documentary films at two separate events in France this May and June. 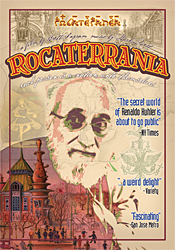 Rocaterrania, a feature length documentary about the life and work of visionary illustrator Renaldo Kuhler, will screen in May at the Raw Vision Exhibition at Halle St. Pierre Museum in Paris. The screening will be part of the Best of the Best of Raw Vision Magazine artists over the past 30+ years. Raw Vision is the most important international publication dedicated to Outsider Art. As a direct result of Ingram’s documentary film, his discovery of the work of Kuhler’s work, and his efforts to exhibit the work, Raw Vision has deemed Kuhler to be one of the “Best of the Best” ever in the world of Outsider Art. Monster Road, a feature length documentary about the life and work of Seattle animator Bruce Bickford, screened at the Annecy International Festival of Animated Film in Annecy, France back in 2004 when it was released. Annecy is widely considered to be the most prestigious festival for animated film in the world. Ten years later, the director of Annecy invited Ingram to again screen Monster Road as a celebration of Bruce Bickford’s astoundingly original contribution to the world of international animation. 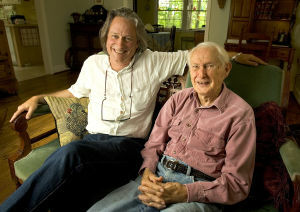 Ingram was also recently contracted to author a book on the life and work of illustrator Renaldo Kuhler. A column by Dr. Geoffrey Baym has been posted in Antenna: Responses to Media and Culture, discussing the replacement of David Letterman with Stephen Colbert on the Late Show. Dr. Baym, who is the Head of the Media Studies Department at UNCG has followed Colbert’s career; he published From Cronkite to Colbert: The Evolution of Broadcast News in 2009. In the Antenna column, Dr. Baym offers his expectations for how Colbert’s presence might shift the direction of the Late Show. Our own Dr. Michael Frierson, professor of media studies and director of graduate studies, will screen his documentary in Paris France this month. The film, FBI KKK will be screened at the Ethnografilm Festival on April 17, 2014, with Dr. Frierson in attend. The festival is sponsored by International Social Science Council (ISSC), Society for Social Studies of Science (4s), and the University Film and Video Association. FBI KKK, is a personal, one hour documentary about Frierson’s father, Dargan, an FBI agent in Greensboro, NC and the intersection of his life with George Franklin Dorsett, the Grand Kludd, or chaplain, of the United Klans of America. In the 1960s, Dorsett became one of the highest ranking, paid informants who secretly provided information about Klan activities under the FBI s COINTELPRO: White Hate program.